With “I would prefer not to”, Hannes Egger enters into a deal with the audience. Whoever copies a page from the book “Bartleby, the Scrivener: A Story of Wall Street” by Hermann Melville as a performance in the exhibition will receive a drawing by the artist in return. 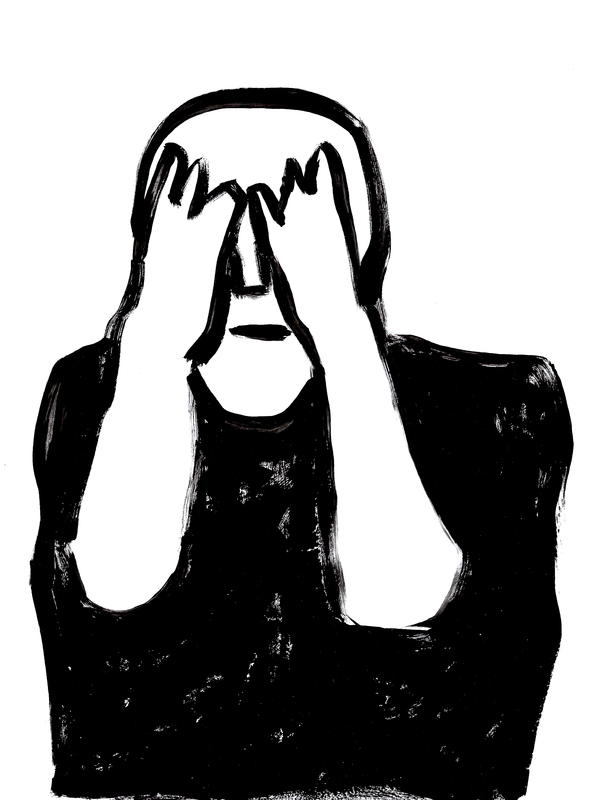 According to a well-known photograph, this drawing depicts the philosopher Slavoj Zizek dressed in a black T-shirt with the inscription “I would prefer not to”, covering his eyes with both hands. Egger has removed the inscription from the T-shirt in his drawings. The result of the performance is a copy of “Bartleby, the Scrivener: A Story of Wall Street” by 63 people.